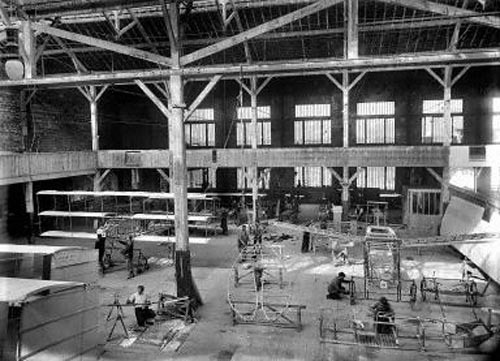 Fall  Despite the failure of their first glider, Gabriel Voisin and Louis Blériot, France, decide to collaborate and form the world's first airplane manufacturing company. They make an odd-looking aircraft with elliptical wings and test it as a both glider and a powered airplane. It fails to fly, so they rebuild it with standard wings in front and an elliptical tail. It still refuses to fly. Voision buys out Blériot and they go their separate ways. 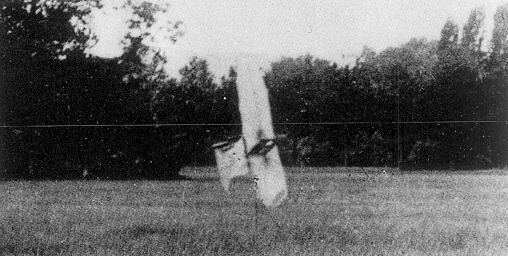 November 14 — Charles M. Manly, the pilot of Langley's failed 1903 Aerodrome, speaks to the Aero Club of New York, reporting on the flights of the Wright Flyer III. It is apparent that he has witnessed some of these flights. 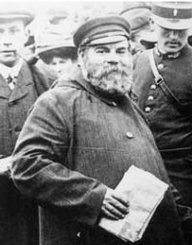 November 17 — The Wrights send letters describing their 1905 flights to Carl Dienstbach in Germany, Patrick Alexander, a member of the Royal Aeronautical Society in England, and Georges Besancon, editor of L'Aerophile in France. 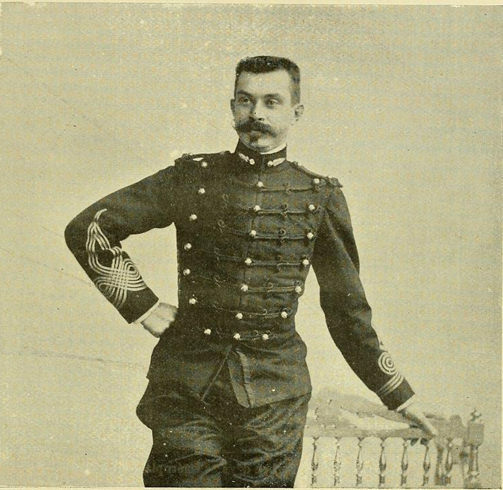 November 22 — Col. Hubert J. Foster, the British military attaché in Washington, again requests to see the Wright Flyer in operation. November 30 — The Wrights' letters to Ferber and Besancon are published in L'Auto in France. 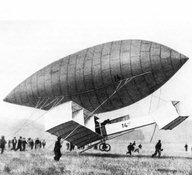 L'Aerophile also publishes the letter to Besancon. 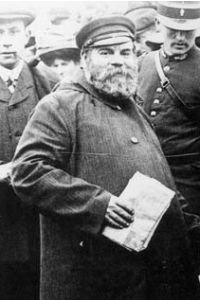 Frank S. Lahm, an American businessman living in Paris, a balloonist, and a member of the Aero-Club d'France telegraphs his brother-in-law in Ohio and asks for verification. December 3 — Harry M. Weaver, Lahm's brother-in-law, visits the Wrights in Dayton and talks to several people who have witnessed their flights. He cables Lahm, "Claims fully verified, particulars by mail." 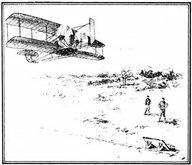 December 30 — L'Auto publishes a sketch of the Wright Flyer III, purloined from an edition of the Dayton Daily News in Ohio. It is the first published picture to show details of the Flyer and is widely distributed in Europe. It has enormous impact on early European aircraft designs. 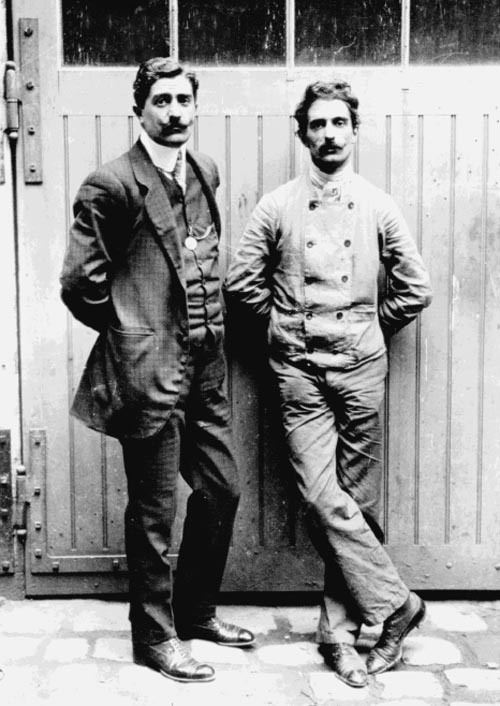 Louis Blériot (left) and Charles Voison (right) in 1905. The cover of the December 1905 issue of L'Aerophile featured the Wright brothers and a brief account of their powered flights. It lit a fire under the French aviation community. 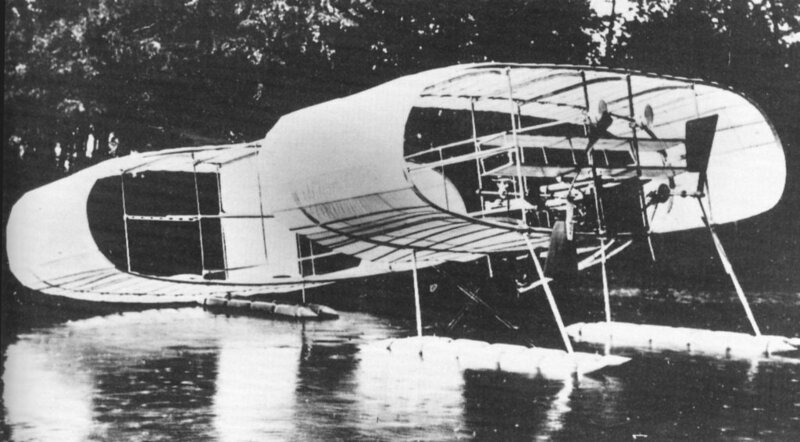 This unsuccessful elliptical-winged aircraft, remembered as the Blériot III, was the first ever built by an aircraft manufacturing firm, Blériot-Voison. 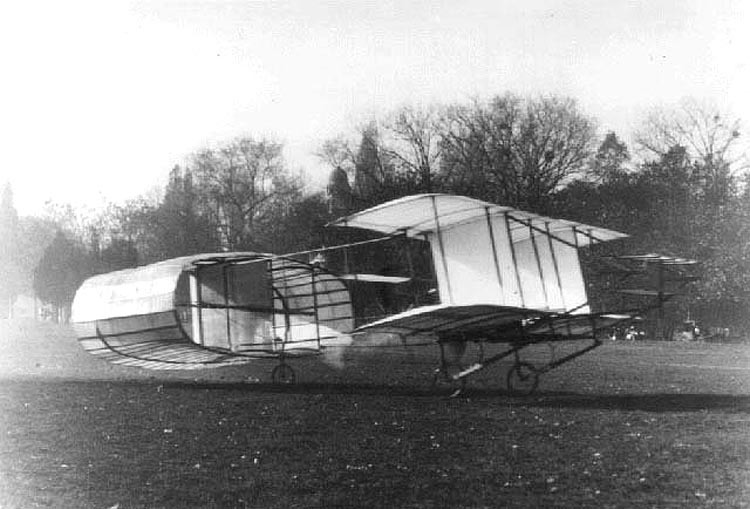 Blériot and Voison rebuilt their aircraft with standard wings in front and called it the Blériot IV. 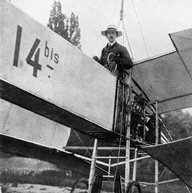 It still refused to fly and Blériot-Voison was dissolved..
Frank S. Lahm would become an advocate for the Wrights in France. Later, his son would become the first US Army pilot. 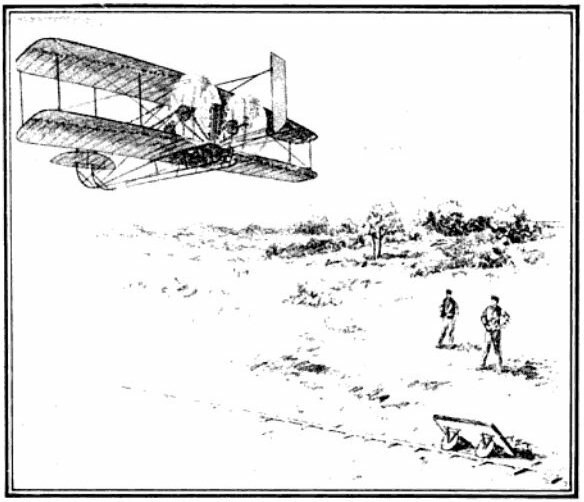 The drawing of the 1905 Wright Flyer that L'Auto published clearly shows the forward elevator, rear rudder, even the launching rail and truck. Winter and Spring — Leon Levavasseur develops lightweight 25 hp and 50 hp engines that will become the mainstay of pioneer aviation in Europe. He calls them Antoinette engines after Antoinette Gastambide, the daughter of his friend and chief of the manufacturing firm. January  The Aéro-Club de France meeting is rocked by the news of the Wrights accomplishments in September and October 1905. Ferber accepts the Wrights claims; Archdeacon refuses to believe them. Archdeacon sends a taunting letter to the Wrights, challenging them to come to France and claim the Grand Prix dAviation. The Wrights do not respond. January 2 — Alberto Santos Dumont announces his ambition to try for the Grand Prix dAviation and turns from building dirigibles to building airplanes. 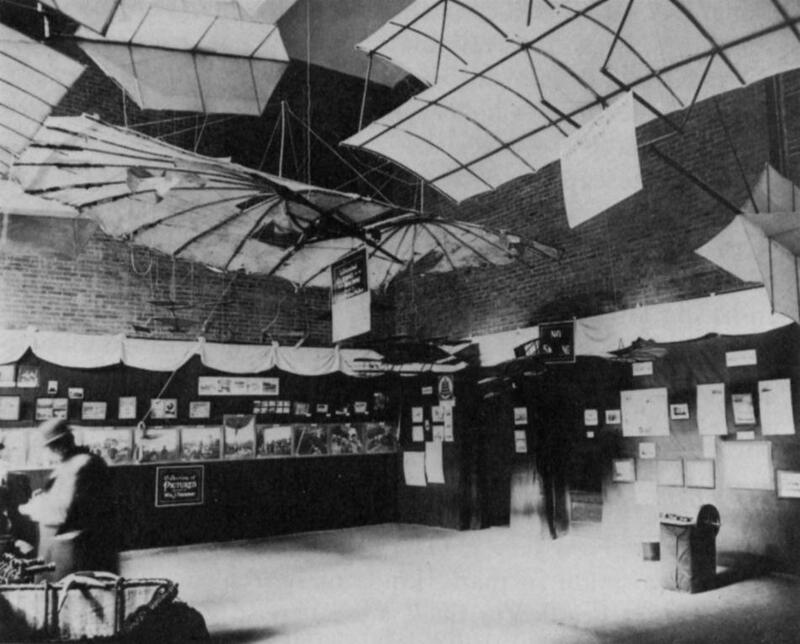 January 13-20 — The newly formed Aero Club of America organizes the first "Exhibition of Aeronautical Apparatus" in America at the 69th Regiment Armory in New York City. The Wright brothers send the crankshaft and flywheel from their 1903 Wright Flyer engine, as well as photographs of their glider experiments. 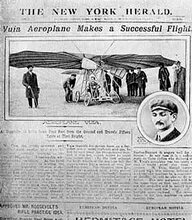 During the show, Scientific American magazine publishes an article casting aspersions on reports of the Wrights' 1904 and 1905 powered flights. 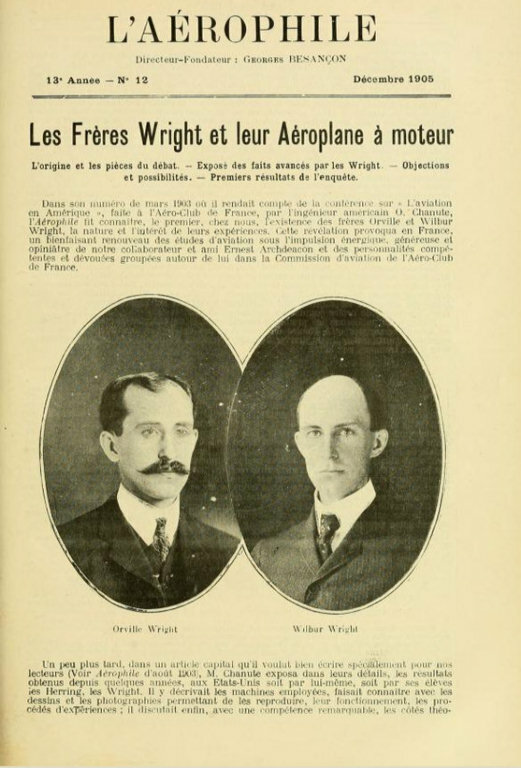 Late January — LAerophile publishes the details of the Wrights' French patent, including complete information about their methods of three-axis control. Members of the Aéro-Club de France either ignore it or do not understand its importance. February — William J. 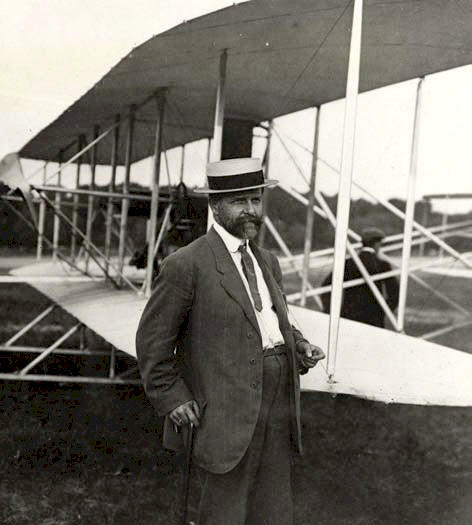 Hammer, one of the founders of the Aero Club of America, travels to Dayton, Ohio to ascertain for himself whether reports of the Wrights' powered flights are true. He comes away convinced that the Wright brothers have flown successfully and convinces the Aero Club to issue a statement supporting the brothers. Albert F. Zahm, another founding member of the Aero Club, contacts the Wrights and asks for a statement that can be published along with the club's letter of support. February 27 — Samuel Langley dies in South Carolina. 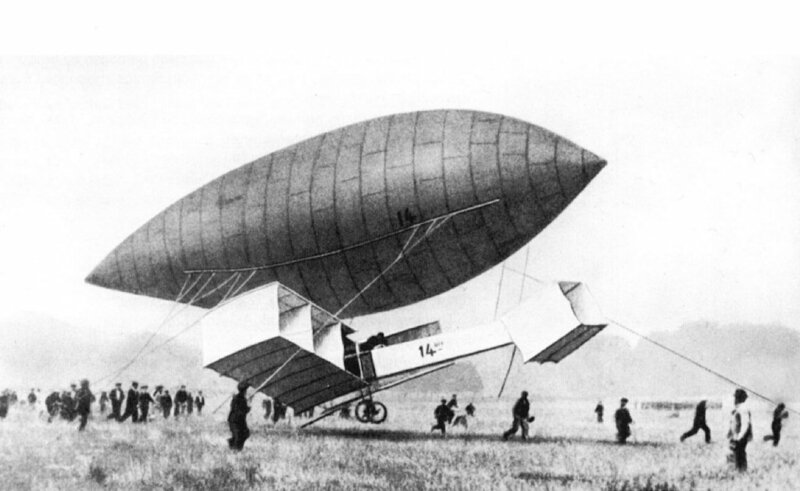 March 3 -- Romanian inventor Trajan Vuia makes a brief hop (39 feet or 12 meters) in the first tractor monoplane. The aircraft is not wildly successful, but it starts an important design trend. 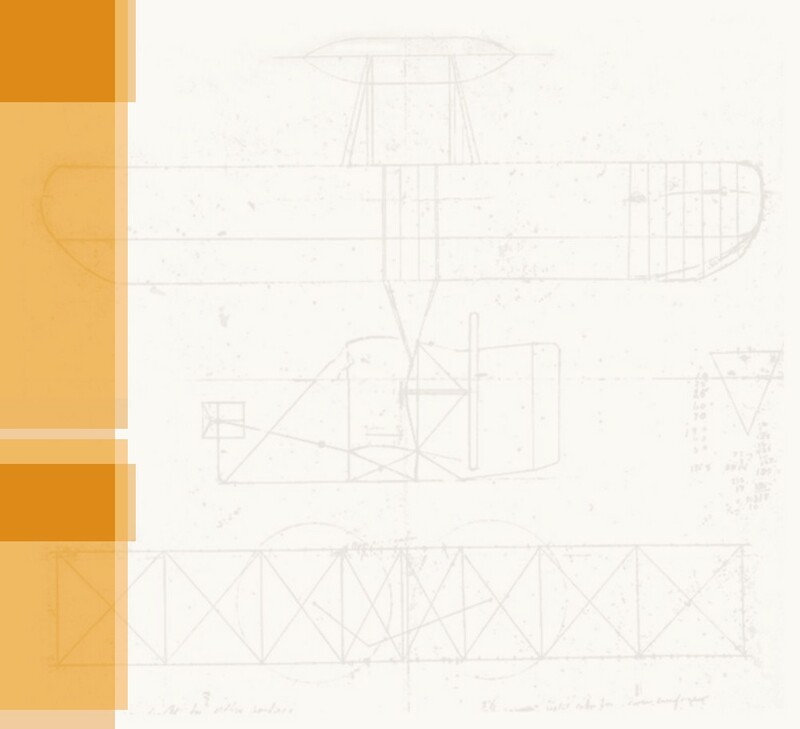 March 12 — The Aero Club of America issues a statement supporting the Wright brothers and stating that the reports of their success are indeed true. It is accompanied by a summary of their test flights, signed by both brothers. This is the first public announcement giving details of the Wrights' 1904 and 1905 powered flights. 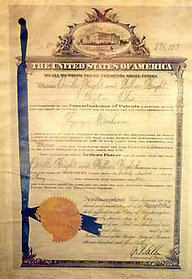 May 22 — The Wright brothers are granted U.S. Patent No. 821393 for a "Flying-Machine," describing their three-axis control system. Because this system will prove fundamental to navigating an aircraft, the patent will come to be considered a "pioneer" patent of the airplane. July 23  Alberto Santos-Dumont, France, tests the controls of a powered biplane, the 14-Bis, tethered underneath a dirigible. August 12 and 19  Trajan Vuia tries to fly twice more in his tractor monoplane. The last flight ends with a crash. September 13  Alberto Santos-Dumont, France, makes several short hops in his 14-Bis. October  Octave Chanute informs the Wrights that the Europeans are catching up to them. Wilbur writes back that he believes the Europeans wont have a flyable airplane for 5 years. 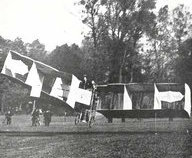 October 23  Alberto Santos-Dumont, France, flies 197 feet (60 meters) in his 14-Bis, landing quickly when the aircraft goes into an uncontrolled roll. 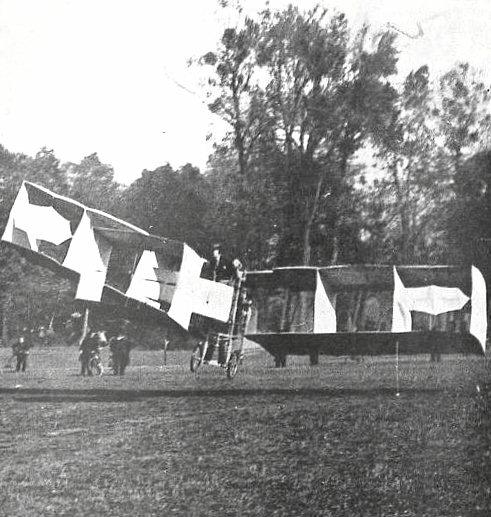 His flight wins the Coupe Ernest Archdeacon trophy for the first flight of over 25 meters (82 feet). 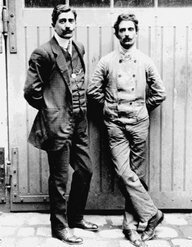 November  Gabriel Voisin and his brother Charles form the Voisin Fréres Company to manufacture airplanes. November 12  Alberto Santos-Dumont, France, flies 722 feet (220 meters) in his 14-Bis, winning the Coupe Ernest Archdeacon cash award for making a flight over 100 meters (328 feet). Antoinette engines were not only powerful, they were extremely light. 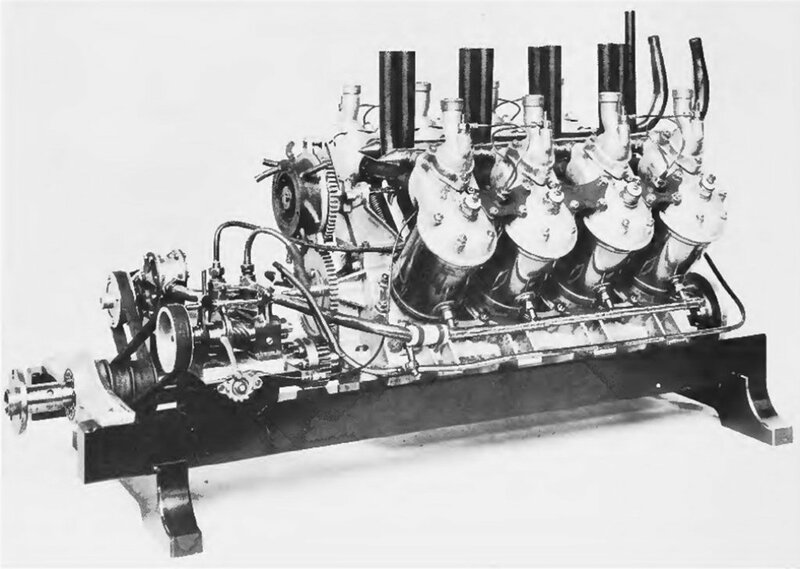 This 50 hp V-8 weighed just 93 lbs (42 kg). Ferdinand Ferber was the Wrights' contact in the French aviation community. 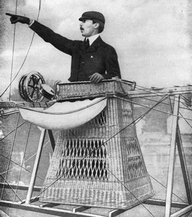 Alberto Santos-Dumont in the cockpit of one of his airships. He would also use a basket as the cockpit of his first airplane. William J. Hammer standing in front of a Wright Model A in 1909. 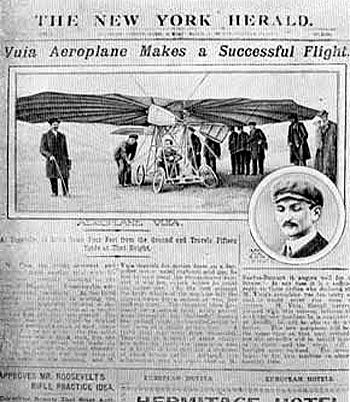 An account of Tajan Vuia's first flight appeared in the New York Herald. Vuia's aircraft is considered by some to be the first attempt to build a "roadable" aircraft or "flying car." 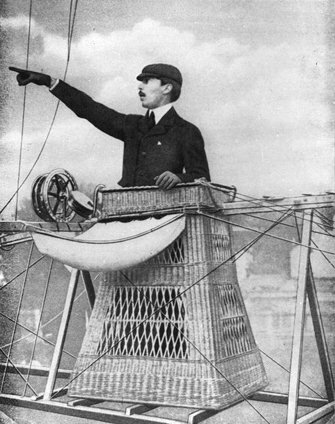 Alberto Santos Dumont in the basket-cockpit of his 14 bis. The 14-bis takes off from a field in Bagatelle, France, just outside of Paris. The Voison Brothers Aeroplane Company in Billancourt, France. 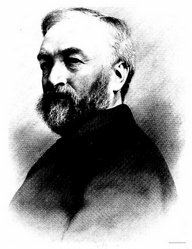 Leon Levavasseur, designer of the Antoinette engines. 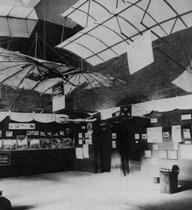 One of the exhibit halls at the 1906 Aero Club of America Exhibition of Aeronautical Apparatus. The Wright brothers' 1903 flywheel and crankshaft are on a small stand at the lower right. Lilienthal and Chanute gliders are hanging overhead. 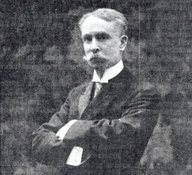 Samuel P. Langely died of a stroke in Aiken, SC. His funeral was held in Washington DC and he was buried in Boston, MS.
Santos-Dumont attached his first aircraft, the 14 bis, to a dirigible to test its controls. 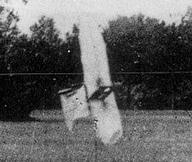 The Vuia II about to crash. 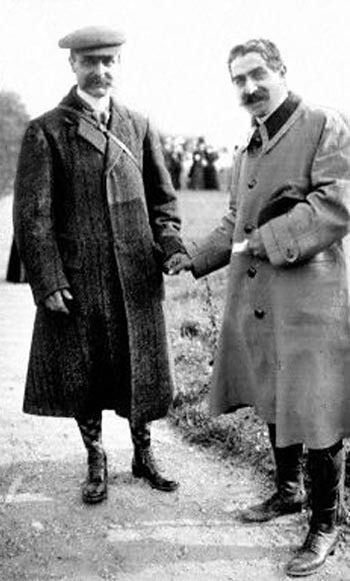 Charles (left) and Gabriel (right) Voison.